You have to control your aircraft some kind of way RIGHT? RC-Transmitters are hand-held control boxes that pilots use to fly model airplanes. They transmit a coded radio signal through the air. Choose a quality radio for airplanes and helicopters! Did you know there are four radio control modes in which a person can fly an airplane? I confess I did NOT! I will discuss the various modes. The mode many pilots learn to fly on is Mode 2. Throttle and Rudder are controlled with the Left Stick. Ailerons and Elevator are controlled with the Right Stick. Now, this is the more normal setup for most pilots. I learned to fly airplanes in this mode also. Elevator and Rudder are controlled with the Left Stick. Throttle and Ailerons are controlled with the Right Stick. Ailerons and Elevator are controlled with the Left Stick. Rudder and Throttle are controlled with the Right Stick. Ailerons and Throttle are controlled with the Left Stick. Rudder and Elevator are controlled with the Right Stick. Here are some radio terms you should LEARN! AM:It stands for Amplitude Modulation which transmits by a variation in the amplitude of signals, it is subject to interference more than FM. FM:It stands for Frequency Modulation which transmits signals by variations in frequency, reduces the risk of "glitches" due to signal interference. PCM:It stands for Pulse Code Modulation uses binary code to digitize the signal, providing the most accurate signal possible. 2.4GHZ:A very unique system, by pushing a button, you will link your reciever to a single transmitter. The receiver will respond to only one transmitter once the unique link is set. 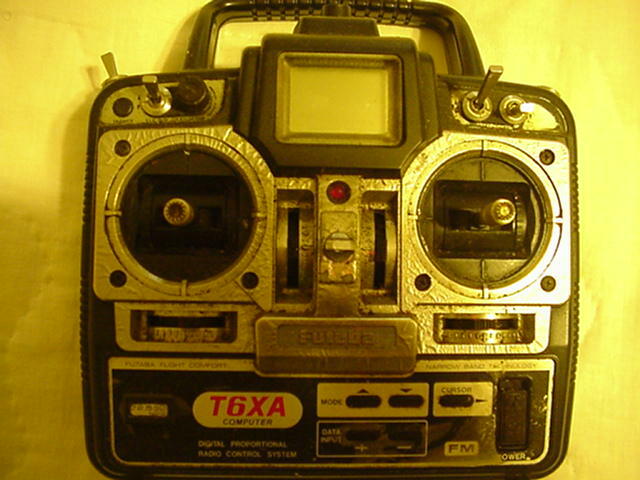 Fail Safe(FS):A unique feature that automatically returns a servo or servos to neutral or a preset position in the case of a possible malfunction or interference. Dual Rates:It is a feature on a transmitter that reduces the reduces the amount of servo travel. A means to allow the servos from being overly sensitive. Many radios come with this option. NiCd Batteries(Nickel-Cadmium)It is a rechargable battery pack. Servo Reversing:A feature that allows you to reverse the servo rotation. It comes equipped with most radio transmitters. Mixing Couping:This feature allows two control channels be coupled together, thereby when they move only one control channel is activated. This is achieved electronically via the transmitter. Which Radio System should you Choose? - It really depends on your present needs. - Also consider your budget. - Consider your future needs. Find out about RC Airplane Covering! Select the right Radio Transmitter for YOU!